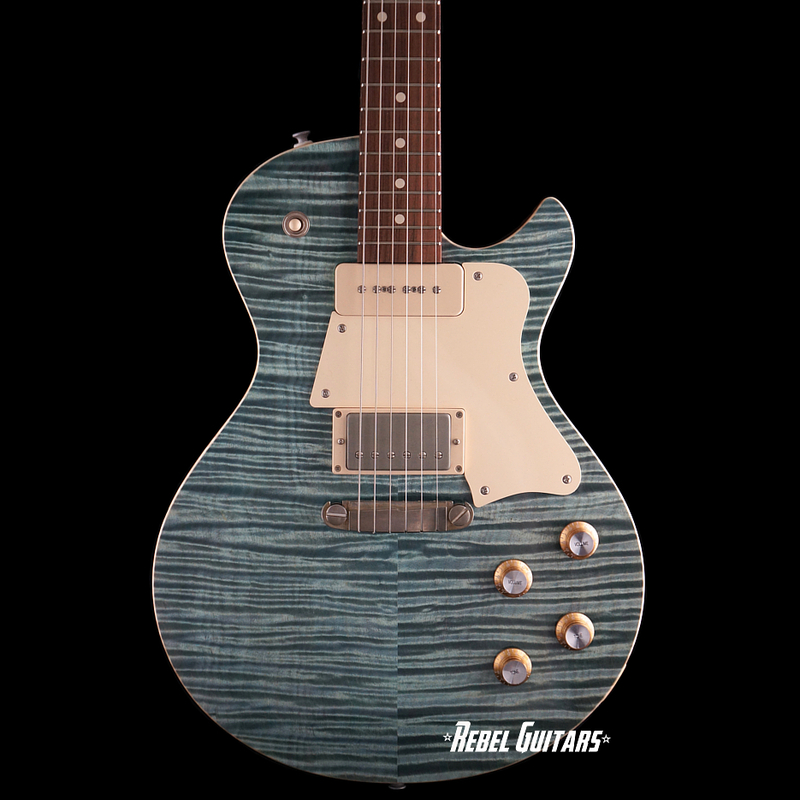 The Macon Singlecut Jr is Patrick’s take on a classic and features host of clever touches making this instrument both ergonomically and visually appealing. 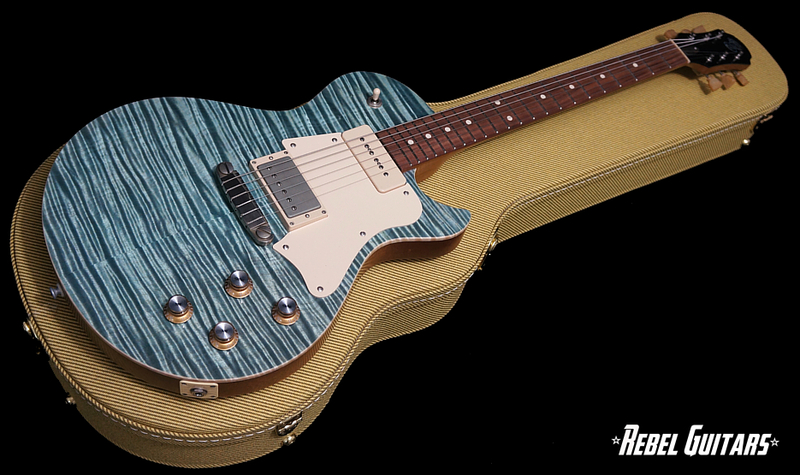 This Macon Singlecut Jr features a Flame Maple top with natural binding, a Mahogany body, Roasted Flame Maple neck, Santos Rosewood fretboard with dot inlays, Jescar frets and Mojo pickups. 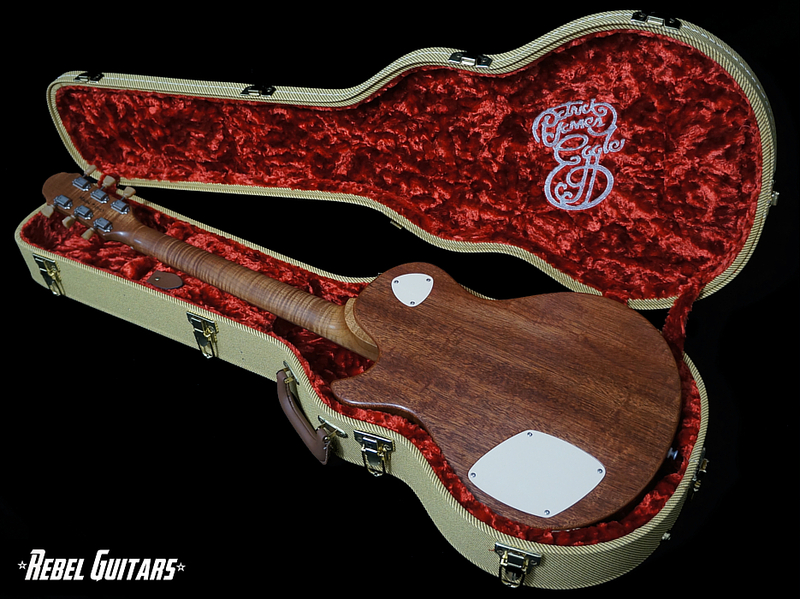 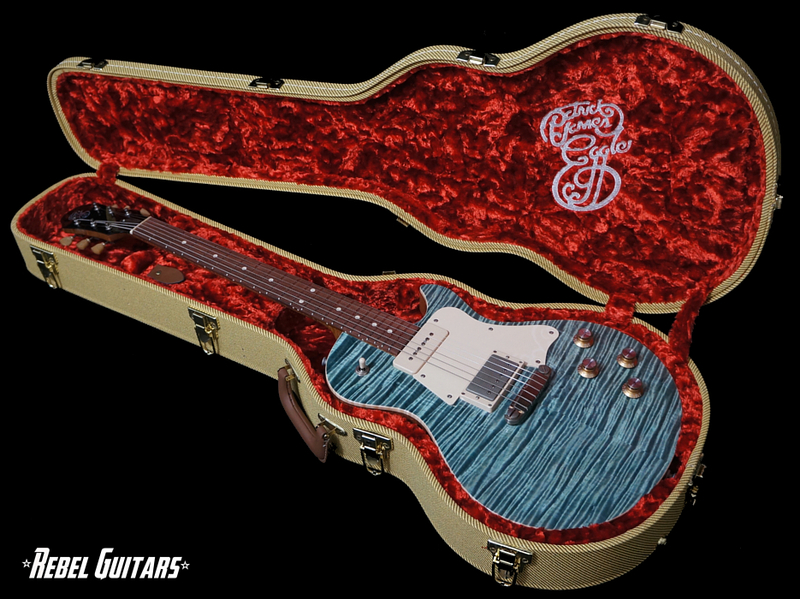 Comes with tweed hardshell case and COA.